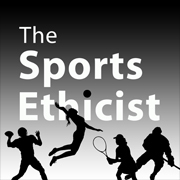 ← The Sports Ethics Show: Are Video Games Sport? I am not claiming that a new commissioner wouldn’t face criticism or get every decision correct. But the focus would be more on the merits of the case. With Goodell in charge, it is about Goodell and his tenure. No action he takes can be understood except through the prism of a year of disastrous decisions. A new commissioner who comes with some gravitas would not have that baggage – at least not directly. At some point, enough owners will realize this and Goodell will be gone.